Man, John Christopher does it again! 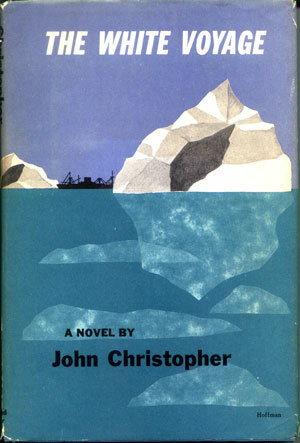 I always pick up a John Christopher novel when I find them, but I read so many last year that The White Voyage (in a beautiful hardback) stayed on my on deck shelf for almost this entire year. I pulled it out many times and then put it back, thinking it would be too much of the same too soon. I took this one on my honeymoon, knowing I would finally have some uninterrupted reading time (hmm, somehow that doesn't sound right! ;)) and ended up devouring it. Thoroughly enjoyable and a slight change of pace for Christopher. Though many of his classic themes were present, The White Voyage takes a more optimistic approach and the protaganist makes it through the book being the sexual victor for once! It's about a strange and motley group (including a small circus and a bear) taking a ship through the north sea who get caught in a storm and stuck in the ice. They must survive the elements as well as their own conflicts. Great stuff, highly recommended. The image above is not the edition I have (though it's quite nice as well). I'll scan mine in when I get a chance and replace the image above. 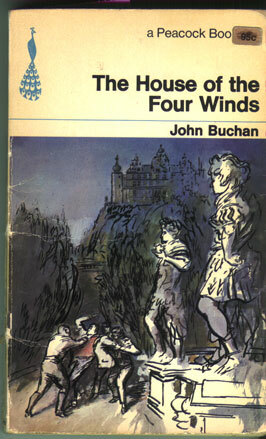 Ultimately, The House of the Four Winds was an enjoyable adventure, but through it, I learned that Buchan wrote several series of adventures using the same characters, characters who become slightly annoying in their British pluck over time and it makes me less interested in reading more of his books. I really enjoyed the 39 Steps for the real sense it creates of an individual getting over his head in trouble. I assumed that his other stories would have the same kind of energy and interesting sitatuions. And they do, except that being a part of a continuing series, they rely too much on returning characters showing up and having the appropriate and necessary resources for the situation. 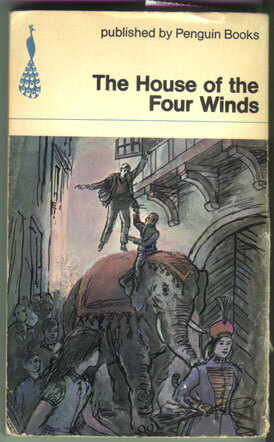 It seemed like most of the first half of The House of the Four Winds was arranging convoluted narratives to ensure that all the characters would end up in the same situation. And normally, I like the archetypical British hero of the first half of the twentieth century, but they start to get kind of annoying here in their assumption of certain class and even racial superiorities. The political set-up is quite complex and interesting (with older school monarchical supporters, a younger conservative movement and communists all vying for power in a small eastern european republic) and the second half of the book moves along as it should, but I would rather it was all done with new characters.